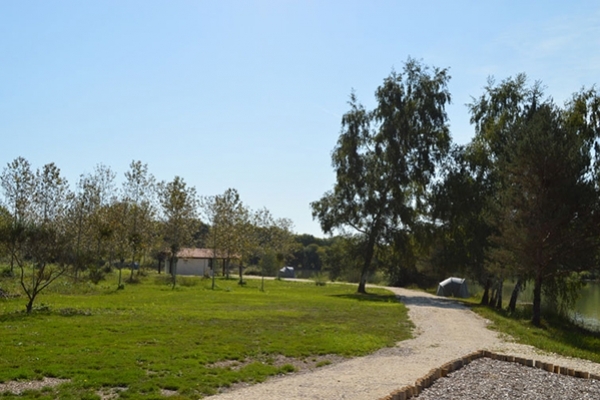 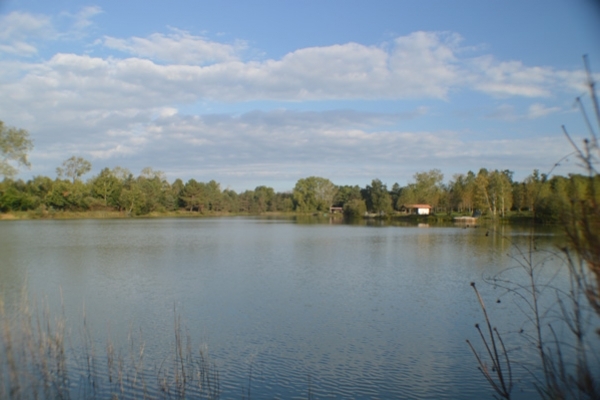 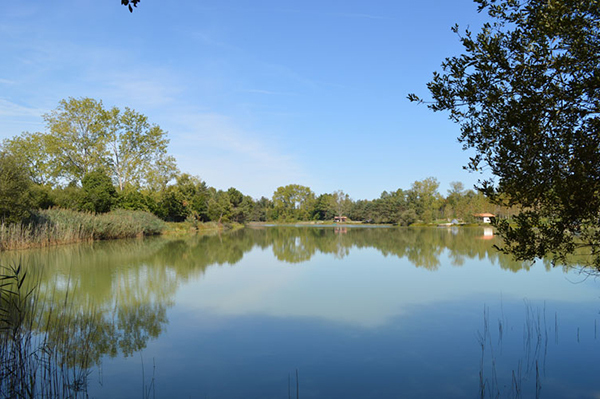 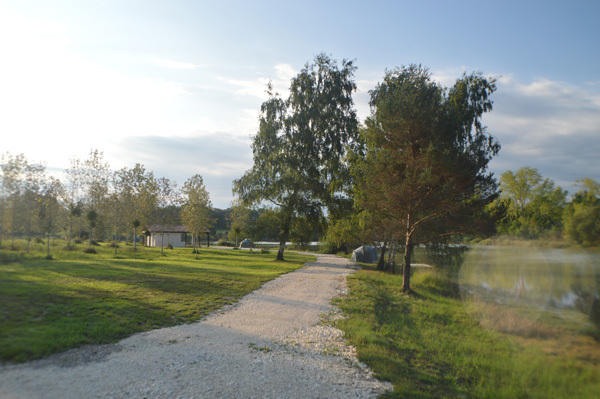 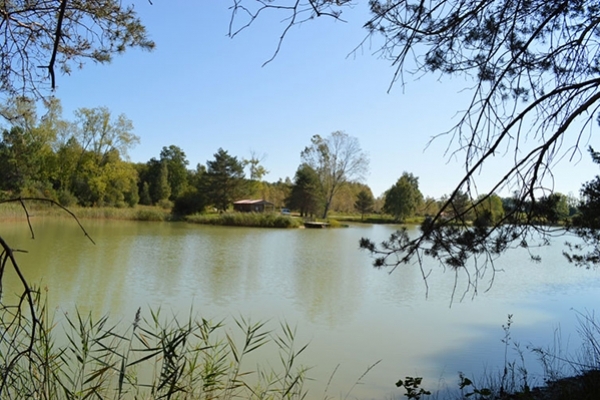 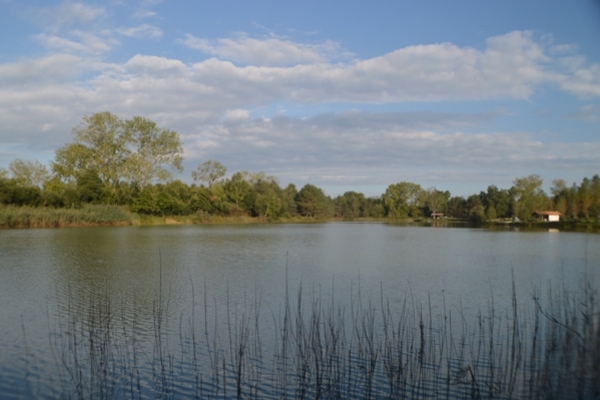 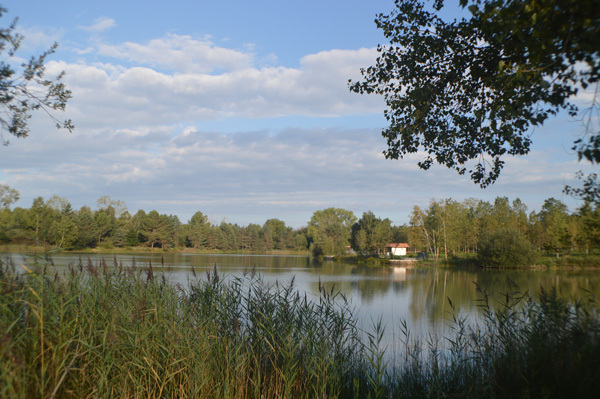 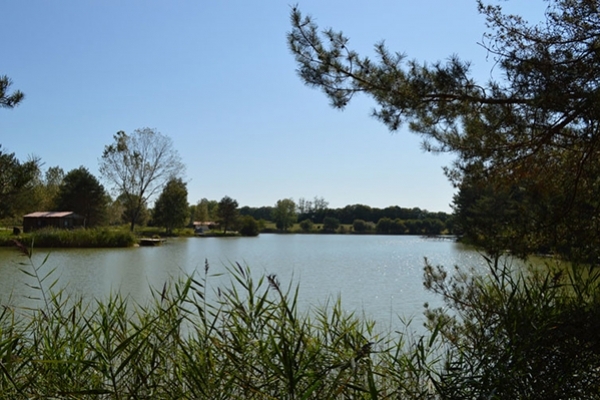 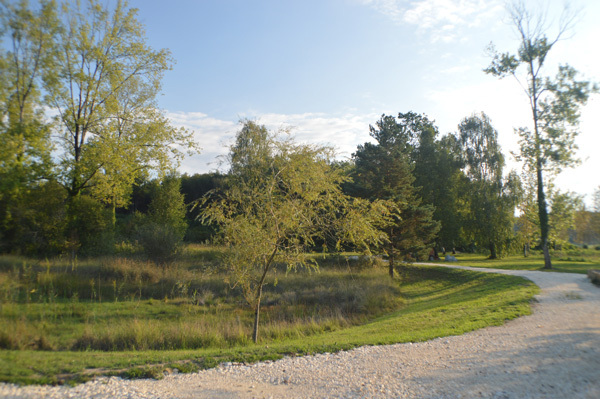 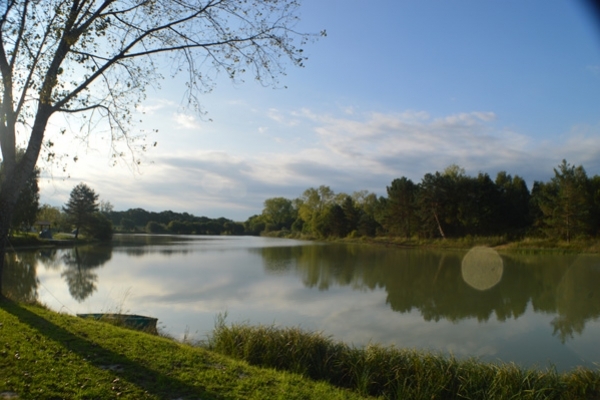 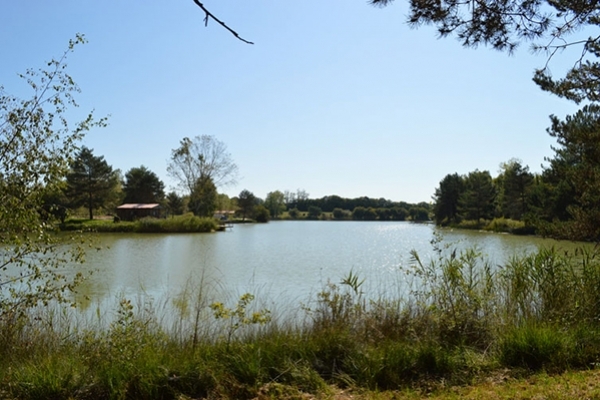 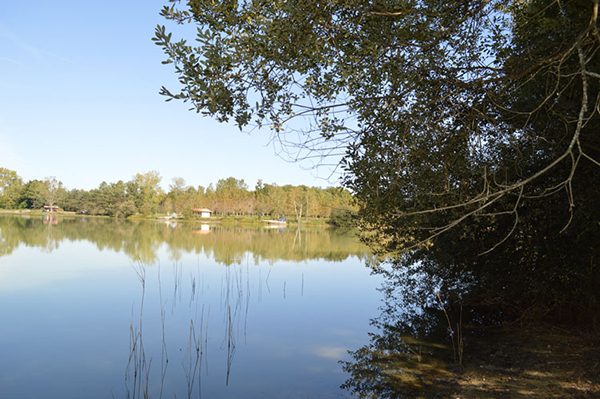 Located two minutes outside of the village of Vieux-Mareuil (24340) in the Dordogne, Etang de la Carpe d'Or (as it was originally named since it's creation in 1977), is a 5 hectare (12 acre) sand quarry that was abandoned and flooded in the late 1970's. 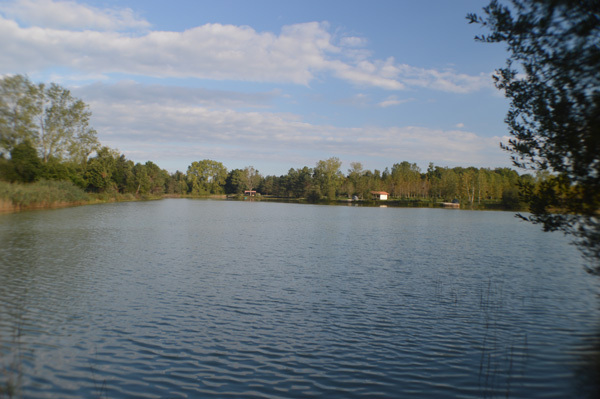 It is spring fed, and was used for irrigation for the earlier part of it's life, but then changed hands, several times, and has since been primarily used as a private lake up until 2014. 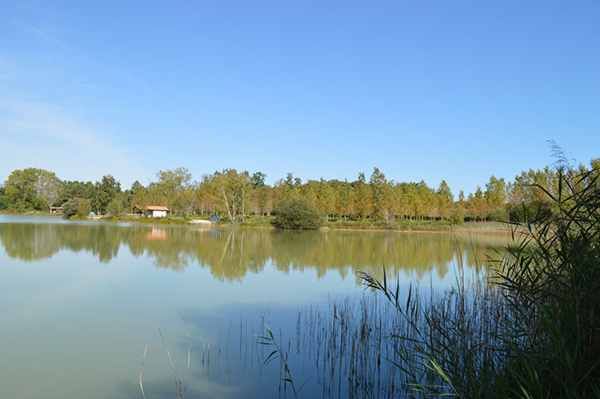 Somewhere between 1992 and 2014 a (failed) attempt was made at breeding sturgeon on site. Well, the sturgeon are now long-gone, and, since purchasing the lake in 2015, we have made several major additions and changes to the site. 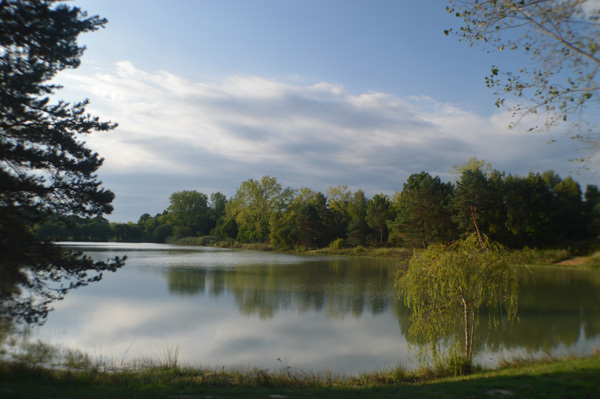 First and foremost is the stocking program. To compliment the existing stock we introduced over 4 tonnes of carp, between 4lbs and 70lbs (including a common of over 60lbs! 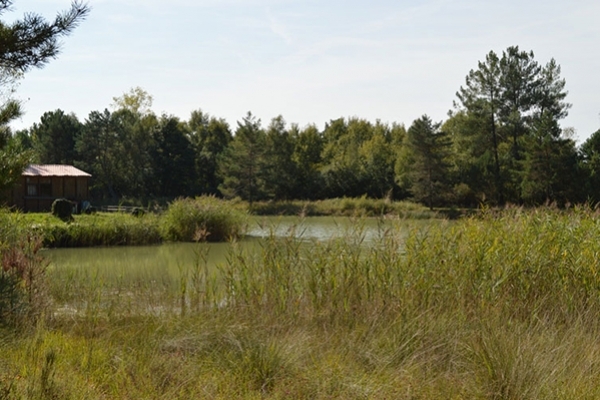 ), from March 2015 to February 2016. 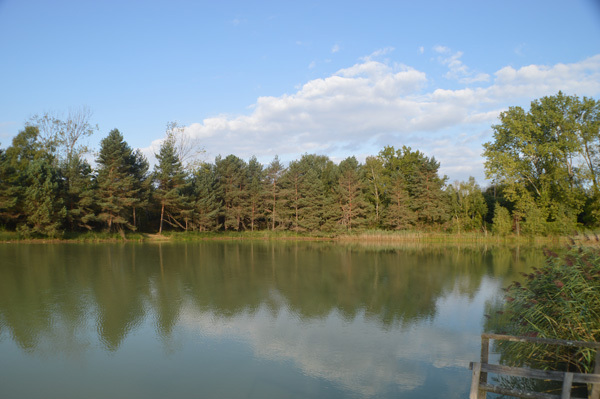 This included 15 plus fish to over 50lbs, a stunning 52lb mirror measuring over a meter long, and 20 amazing Koi carp! We have since added a further 25 fish, which included 9 fish in December 2018 from 46.6lbs to 62lbs!! 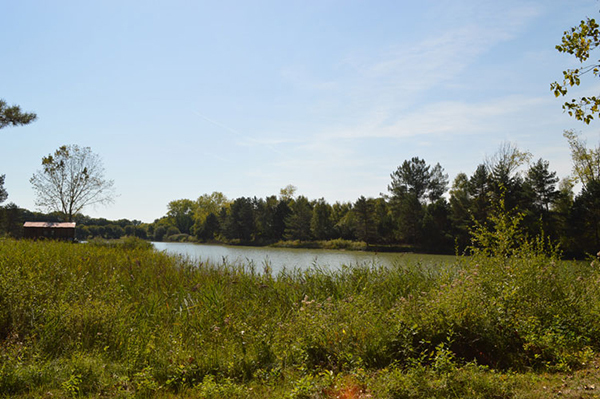 Check out our gallery , and especially our Facebook page for more pictures of the stockings. Newly constructed roads allow easy access to all of our top-notch double swims, our new single swim, Swim 4, and to "The Cabin" and "The Lodge". 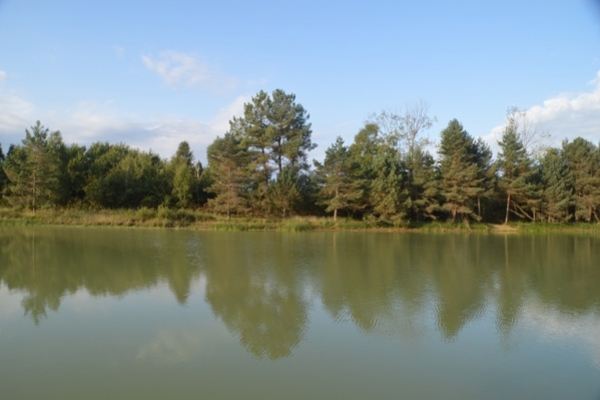 We cater for up to eight anglers and four guests maximum. For more info on these facilities, please click on the links. 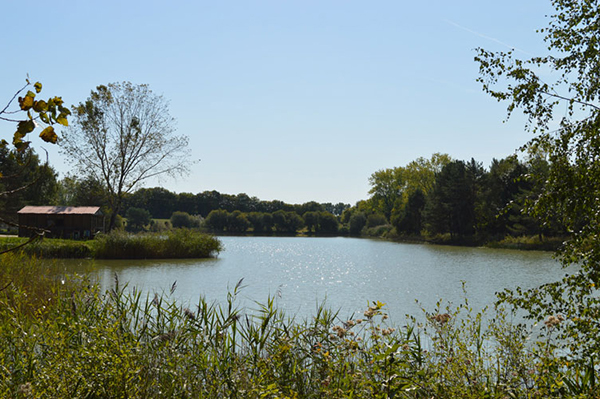 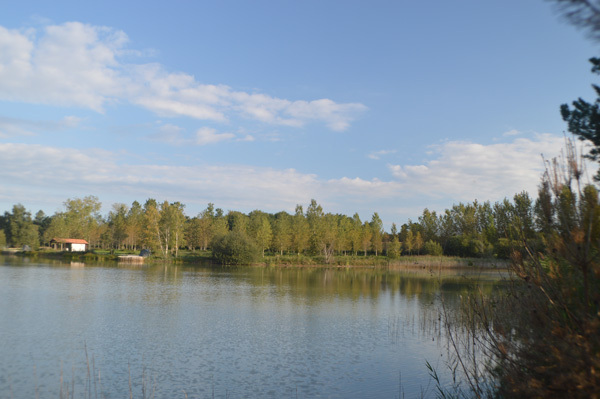 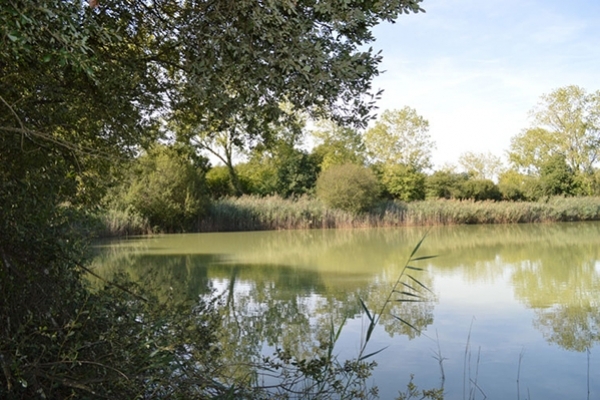 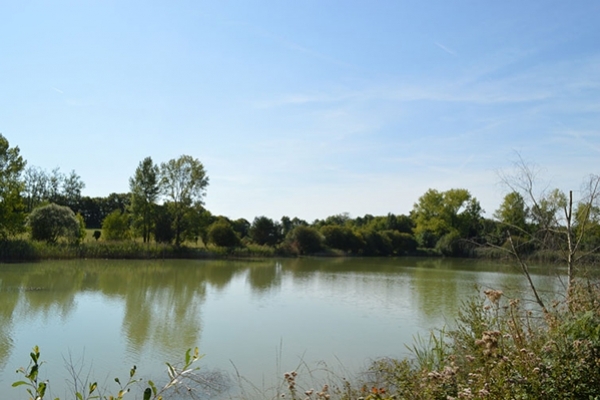 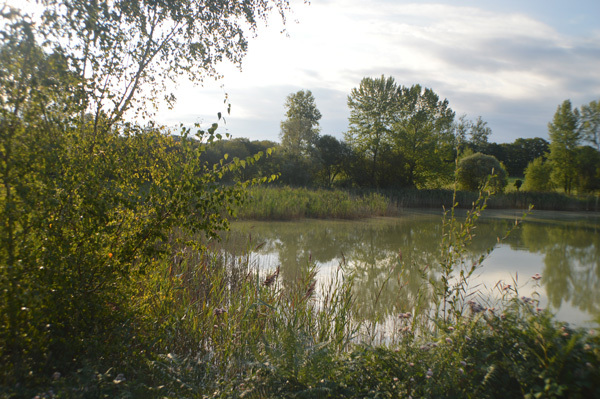 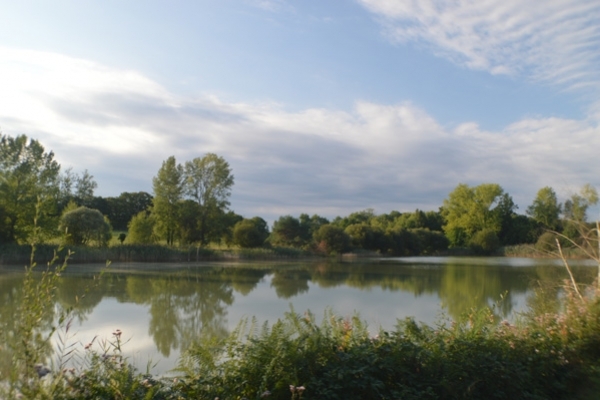 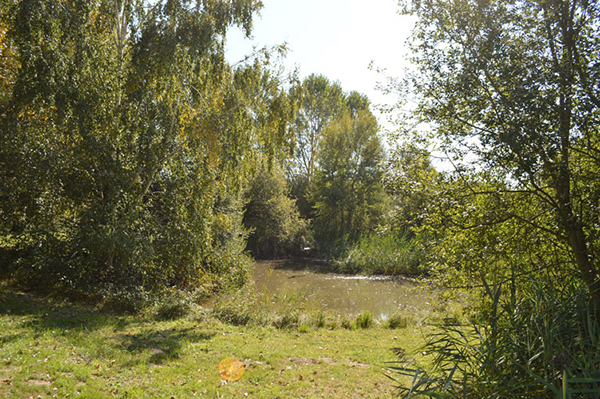 The lake itself has been left relatively untouched for now, as its natural features, such as the weed and reed beds, sunken trees, overhanging branches, and depths between 1' to over 14', have yet to be fully explored by the resident carp. 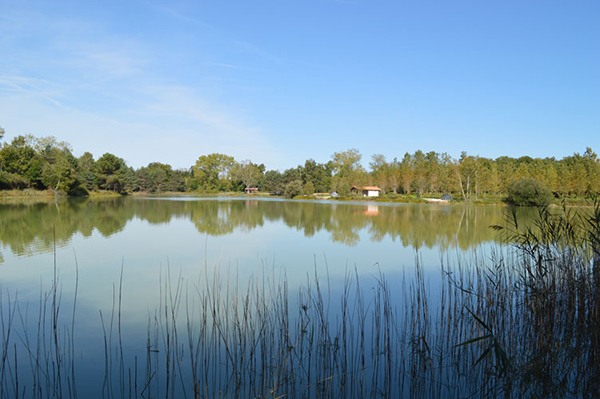 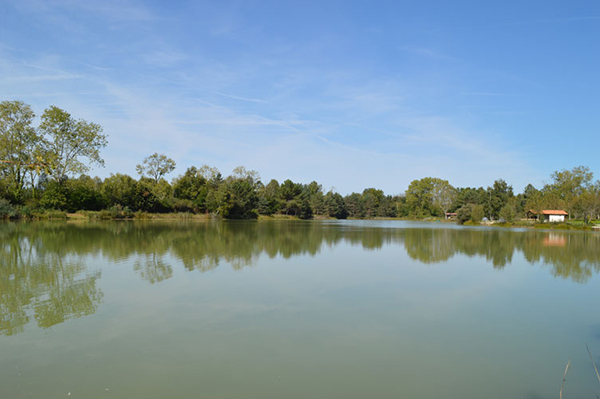 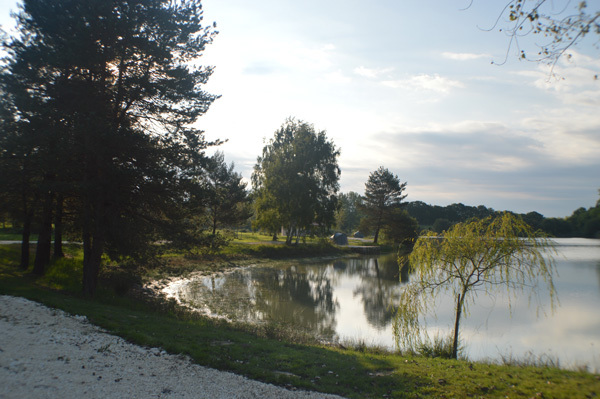 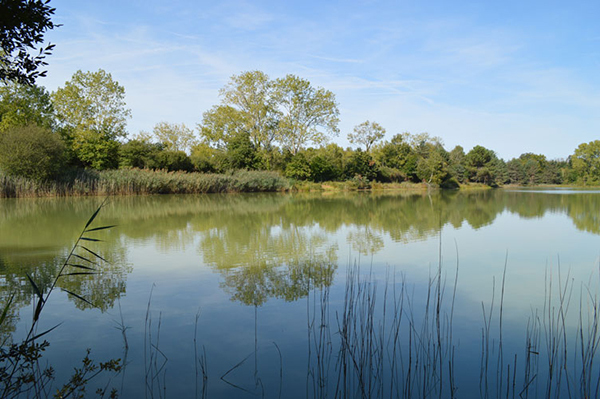 So, if you fancy catching the fish of a lifetime (that has potentially never been caught before), in an environment that prioritises serious anglers and their families alike, then get booked in at Étang de la Carpe d'Or today!